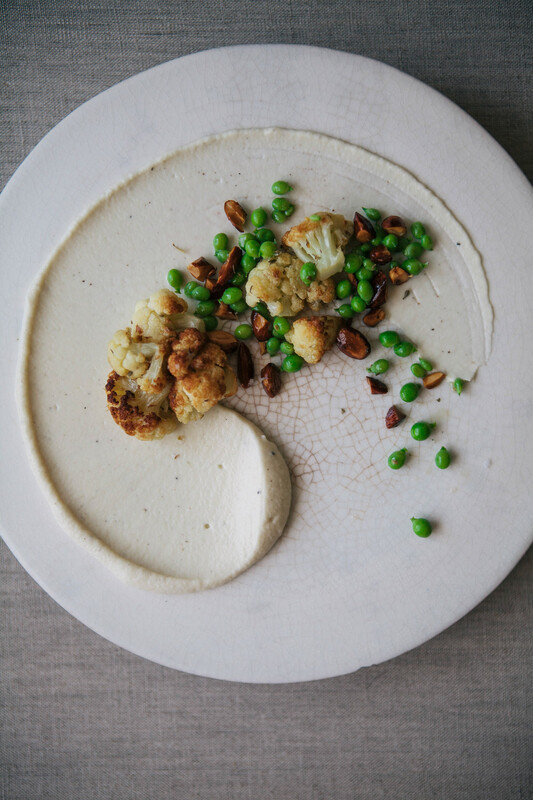 Cauliflower & Peas — always with butter. Heat the olive oil in a frying pan over medium heat, add the onion and cook until translucent. Add the cream and half the cauliflower and simmer gently over low heat for 10–12 minutes or until tender, stirring frequently to avoid any colouration. Strain, reserving the cooking liquid. Transfer the cauliflower and onion to a blender and blend to a smooth puree, adding a little of the reserved cooking liquid as required. Bring a small saucepan of water to the boil and cook the peas for 1 minute, then refresh in iced water. Drain. To make the oregano salt, combine the dried oregano, salt and sugar in a small bowl. Toast the almonds in the oven for 10 minutes or until golden, then roughly chop and season with a little oregano salt. To make the lemon dressing, whisk together the lemon juice and olive oil. Season to taste with oregano salt. Heat the oil in a heavy-based saucepan until a cube of bread browns in 15 seconds. Add the remaining cauliflower florets and deep-fry until golden. Remove with a slotted spoon and drain on paper towel. Season with oregano salt. In a mixing bowl, combine the peas, cauliflower florets, almonds and lemon dressing. 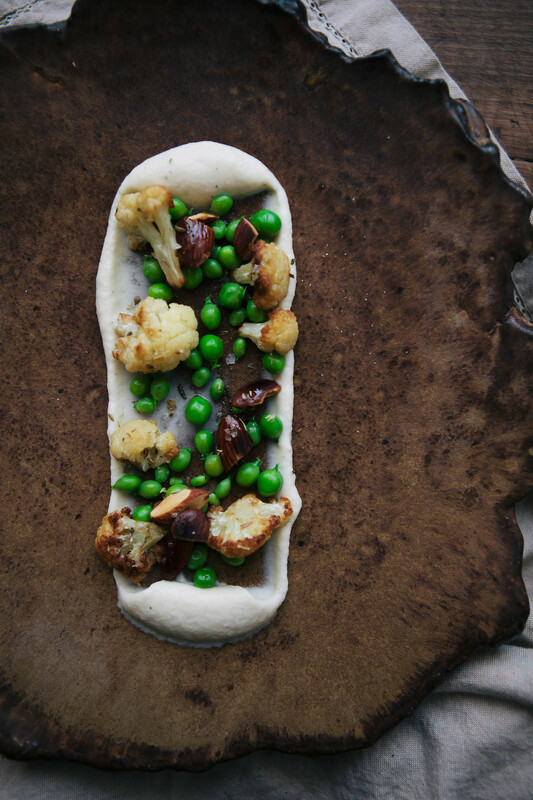 Spoon the cauliflower puree onto a serving place, top with the mixed salad. Serve cold. Finally something that is not dessert!